Many times users are unable to access the Internet though everything seems fine. 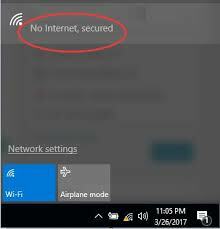 Some users have come across weird Internet problems where the Internet connection seems secured but there is no Internet access. They usually see the following error image on their screen. Are you getting an error like the one above? We have provided some easy solutions to fix the internet access issue. You don’t have to try all the solutions. Start with the first solution, and if it does not work, move to the next solution in the list and so on. If your computer has any Ethernet cable connected, unplug it. 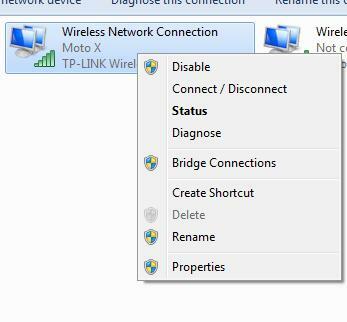 Windows comes with in-built Network Troubleshooter that can fix common problems with your Internet connection. 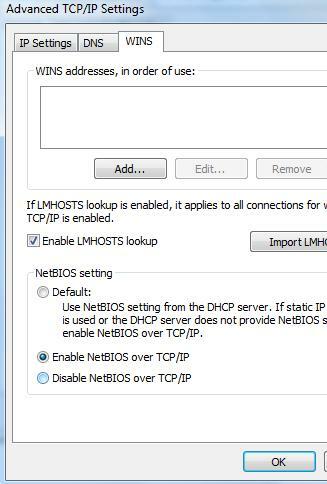 Here are the steps to run Network Troubleshooter. Wait for the Network Troubleshooter to detect problems and then follow on-screen instructions to resolve the issue. Check whether Internet connectivity problem is resolved. If the issue persists, move to next solution. Network drivers play an important role in establishing Internet connectivity. 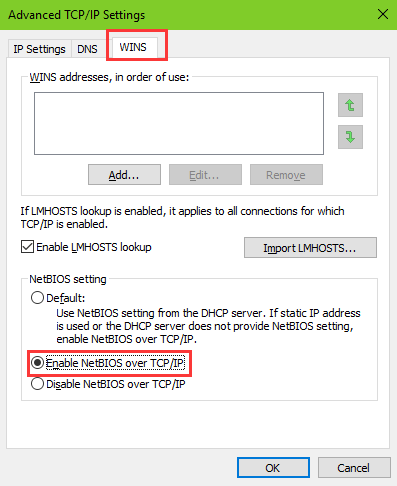 An outdated driver could be the reason behind “No Internet, secured” error. A simple solution to this problem is updating Network adapter software. 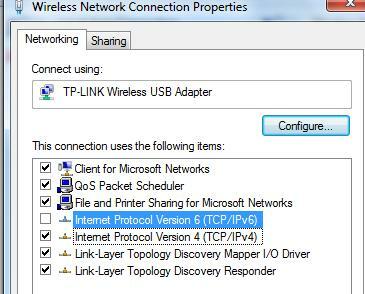 Select the Network adapter your computer is currently using (Ethernet or wireless adapter). In the Update driver dialog box, select “Search automatically for updated driver software” option. Windows will search for updated driver software. 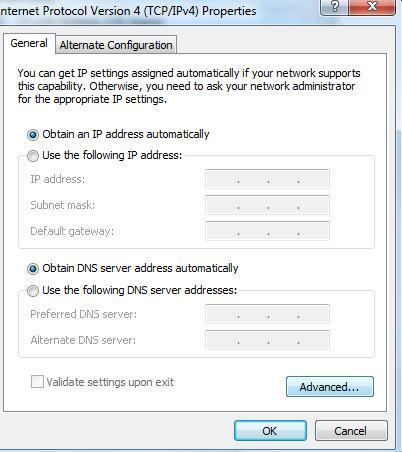 Check whether “No Internet, secured” error is resolved. If Windows is unable to find drivers, you need to use driver update software like DriverDownloader to update Network adapter drivers. DriverDownloader is an amazingly fast, accurate driver update software tool. 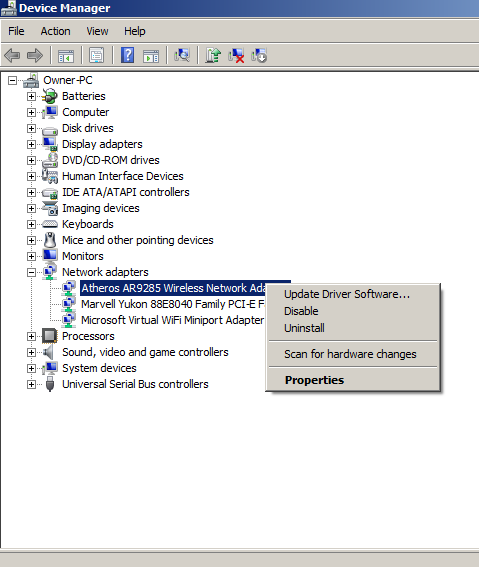 Whether you need to update network adaptor drivers or drivers of some other device, this tool can help you get the required drivers in a jiffy. You can download and install the software for free. You can even run it without paying anything. When you run DriverDownloader, it will give a drive report, which contains load of useful information. To get the automatic driver update, you’ll need to register DriverDownloader. Unlike some other driver update software tools, DriverDownloader comes with a 30-day money-back guarantee. Registered users also enjoy full customer support. It’s good to know that if anything goes wrong, you can contact the right people and get it resolved fairly quickly. To download DriverDownloader, click the green button below. Despite the introduction of TCP/IPv6 long ago, around 80% of Internet traffic still uses TCP/IPv4. According to some experts, TCP/IPv6 might cause issues like “No Internet, secured” error. Therefore, you need to check whether disabling it resolves the issue. Open a browser and check whether you are able to access the Internet. If you are still getting “No Internet, secured” error in the notification area, move to the next solution. There are several Windows services that are necessary for Internet connectivity. The services should be running on your computer for Internet access. Here is the list. There is a possibility some of these services are disabled due to malware infection or any other reason. To get back Internet access, you need to ensure these services are running on your computer. In the Service window, look for the services mentioned above. 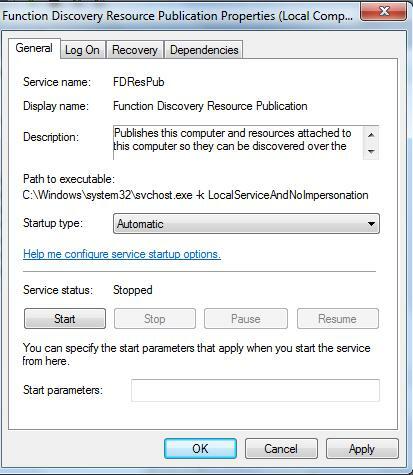 Note- We are going to demonstrate how to check Windows services, what options to select to enable it. Here we are checking and enabling Function Discovery Resource Publication service. The steps to check and enable other services remain the same. Now check whether Internet access is restored. If you still see “No Internet, secured” error, move to next solution. TCP/IP properties play an important role in Internet connectivity. You need to modify some settings and see if that helps. Here are the steps to follow. Check whether “No Internet, secured” error is resolved. If the issue still persists, move to next solution. 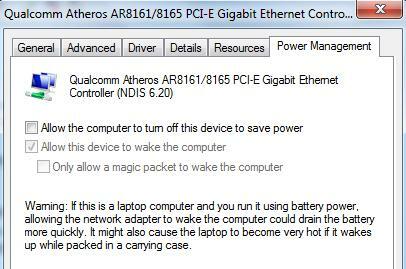 Your computer has several power management features that shut off devices to save power. There is a possibility the power management feature is causing some problem that in turn might be causing the “No Internet, secured” error. 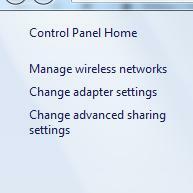 In order to resolve the issue, you need to modify some power management settings. 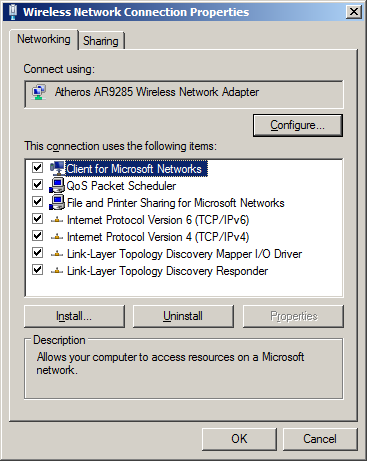 Go to Network adapters category and expand it. Uncheck the option “Allow the computer to turn off this device to save power” option. Check whether the issue is resolved. If you still get No Internet, secured” error, move to next solution. In Windows 10, you can share your Internet connection with other devices. There is a possibility there is some conflict with router driver and wireless driver that could throw up an error like No Internet, secured”. Here are the steps you need to follow to resolve the conflict between drivers. Check whether the issue is resolved. In our experience, we are confident that one of the solutions in this post will work for you.